Exercise is something we all know we need, but let’s be honest about it— exercise is usually not much fun. Running is fun when you are playing soccer, football, or baseball, but on a treadmill? No way! Riding a bike was a blast when you were a kid, but the seats are so small (and something on us not so small anymore) that it can be incredibly uncomfortable to do. That is unless you are riding a recumbent bike. If you are going to take up cycling, a recumbent bike is the way to go. Recumbent bikes are essentially built to make cycling much more comfortable for riders. If you want to enjoy one of the best on the market today, go with one of the Star Trac brand of recumbent bikes. However, you are going to pay a pretty penny for one. For that reason, I can’t recommend it. Prices will, of course, vary from model to model and will be dependent on your location. You can find used ones that are not incredibly expensive, but they are not cheap either. However, if you are going to buy new be prepared to spend some money. I can appreciate using a quality machine. Star Trac certainly makes good ones. But if I spend that much on an exercise bike, I will not need to use it to lose weight because I will not have any money left for food. 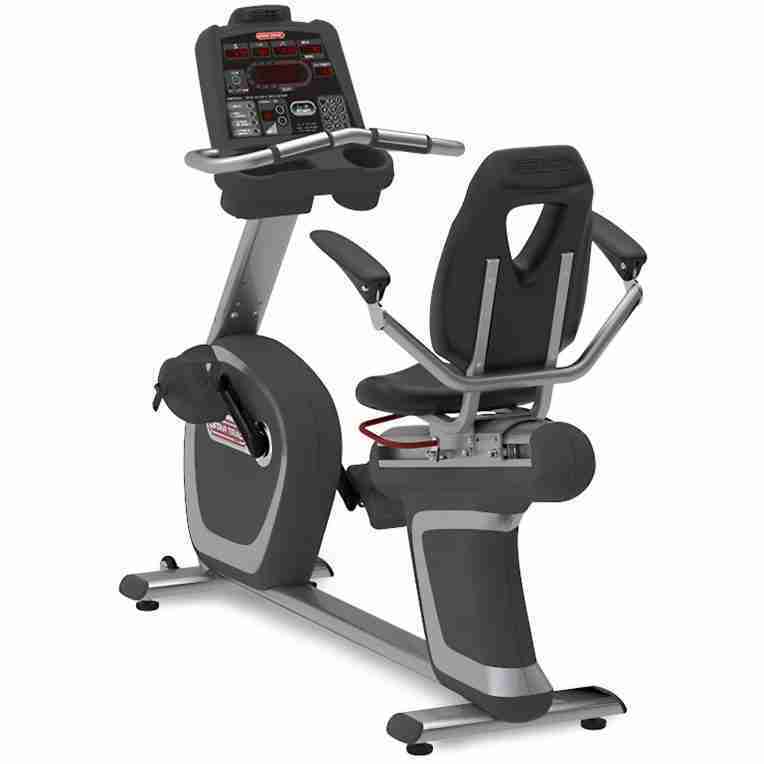 The Schwinn 270 Recumbent Bike is a much more affordable recumbent bike. It doesn’t come with the bells and whistles that a Star Trac does, but you’ll still be able to afford food after buying it. But if you are okay with spending a couple of grand on a recumbent bike, let’s take a closer look at what Star Trac has to offer. 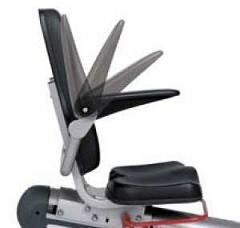 One person reviewed the Star Trac E-RBi Recumbent Bike at GymPros.com and gave it five stars. At one site online, one person reviewed the Star Trac S-RBx Recumbent Bike and gave it five stars. Three people reviewed the Star Trac E-RB Recumbent Bike and gave it an average of 3.2 stars (two five-star reviews and one two-star). Six people reviewed the Star Trac Pro Recumbent Bike and gave it an average of 4.2 stars (five five-star reviews and one one-star). It is worth noting that in the negative reviews, the issues people had were with the condition of the bike upon receiving it. So, their problem was more with the shipping and packing than with the product. The armrests will help alleviate any tension in your shoulder and let you sit in a much more relaxed and comfortable position. Personal fans: feeling like you might sweat? Turn your fans on! This sounds like the kind of bike you’ll never want to get off. The seat will make it easy for you to handle riding for long periods of time. The design will take most of the stress off your back and knees. The fans will keep you from getting overheated- oh, and it comes with a cup holder! The only thing they could add would be massage settings in the backrest or maybe foot-massaging pedals. The hardest thing for many people when it comes to exercise bikes (besides the tiny seats on traditional bikes), is figuring out what to do. When you rode your bike all over town as a kid, you didn’t need something to help make the ride more challenging because you had a goal to focus on—your destination. 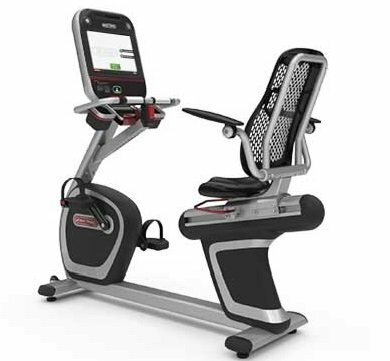 Most Star Trac recumbent bikes come with ten or 11 preset programs to help keep riders focused on a goal. Riders have 20 resistance settings to choose from as well to help them make the programs even more challenging. The problem with a lot of exercise equipment is that it is not durable enough to handle being used by people that truly need to use the equipment. But that is not the case with Star Trac recumbent bikes. They are rated to handle a maximum weight of 350 lbs. From personal experience, I can say that they can handle a 400 lbs. person just fine as well. For those who are taller or shorter than average, the seat is easy to adjust forward or backward to accommodate your needs. If you like to follow your progress while you ride on a monitor while you ride, the Star Trac recumbent bikes come with pretty nice ones. The 8-Series comes listed with either a 10-inch or 15-inch screen to make reading the display as easy as possible while you are working out. Warranties are nice to have in case your new piece of exercise equipment that you are still paying for breaks down on you. There are few things in life as frustrating as having an expensive bike you can’t ride because something broke and you can’t fix it—but you’re still paying for it! That is not going to be a problem for owners of a Star Trac recumbent bike. The manufacturer’s warranty is a limited ten-year one on the frame not including coatings; everything else is ten years for parts and three years for labor. It is worth noting that when a product comes with a good warranty, it is often because one isn’t needed. The company knows it made something that can stand the test of time, so they can afford to be generous with the warranty. From the few reviews available online, the only time people needed the warranty was when a piece of the bike was broken during shipping. Otherwise, no one mentioned their recumbent bike even needed a repair. Prices will vary from one distributor to the next and will be dependent on whether it is a newer model or an older one. But even buying a used Star Trac recumbent bikes is not going to be cheap. If you want to buy new rather than risk getting one that may be on the verge of breaking down, be prepared to spend a decent amount of money. But they are also commercial quality bikes that are built to be used for hours and hours every week by a gym’s members. Gyms don’t want to have to call repairmen. Having broken down machines is bad for business. They spend the money on quality machines because they know that’s what will get people to sign up and come back. 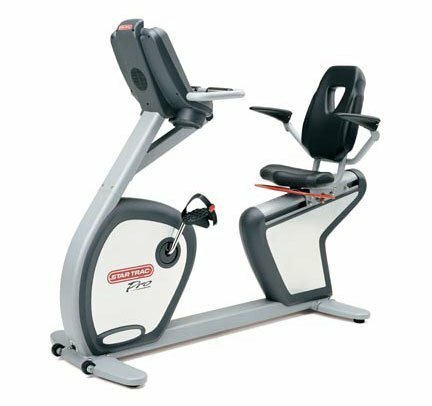 Typically, when you are setting up an exercise bike in your home, recumbent or traditional, you do not intend on moving it around much. So, the fact that Star Trac recumbent bikes often weigh around 200 lbs. should not be a big deal. However, if you do need to move your bike after setting it up you may want to find some help. You’d sure hate to throw your back out trying to lift this large, cumbersome piece of equipment and then not be able to use it! Sounds crazy, right? How in the world could something be too comfortable? Let’s remember the purpose of exercise—to burn calories. Are you really going to get the most out of your time if you are so comfortable that you feel like you’re taking a leisurely Sunday ride? It’s possible on a Star Trac recumbent bike. Is a fan necessary? Isn’t the purpose of getting on the bike to ratchet up your body temperature and burn some calories? You don’t want to be so uncomfortable that you can’t complete a workout. But at the same time, you don’t really want to be so comfortable that your motivation is lacking to get your workout done and over. I wouldn’t recommend even thinking about buying one if you live on a budget. Your budget will be busted beyond repair. If you have to have a recumbent bike in your home, go with one of the other, more affordable options. Either that or join a gym and take your pick from the line of Star Trac recumbent bikes along the back wall. Cycling is a great way to lose weight. Using a recumbent bike is a great way to ride. The design will relieve much of the stress that those riding traditional bikes complain about having. You will no longer have to bend over while you ride, and the seat will be big enough for you to sit in comfortably. 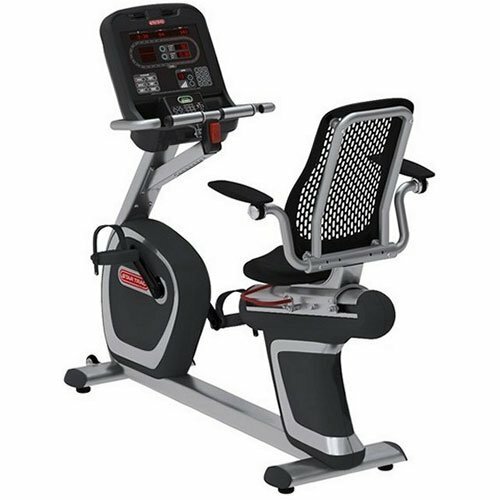 When it comes to exercise bikes, you can’t go wrong with a recumbent bike and especially a Star Trac recumbent bike. However, if you are going to buy one, it will cost you. But if you believe “you get what you pay for” this is a purchase worth making. If you can afford it, that is. If not, does this mean you are unable to ride a recumbent bike? Of course, not! There are options on the market for as low as a couple of hundred dollars. Now with those, you will probably not have armrests included or a cup holder. Chances are there will not be as many programs included (if any). There may not be as many resistance levels to work with either. But if you are okay with a ‘bare bones’ recumbent bike, you have options. If you’d rather ride the gold standard, go with a Star Trac model.